All aboard an amazing adventure across the United States of America! 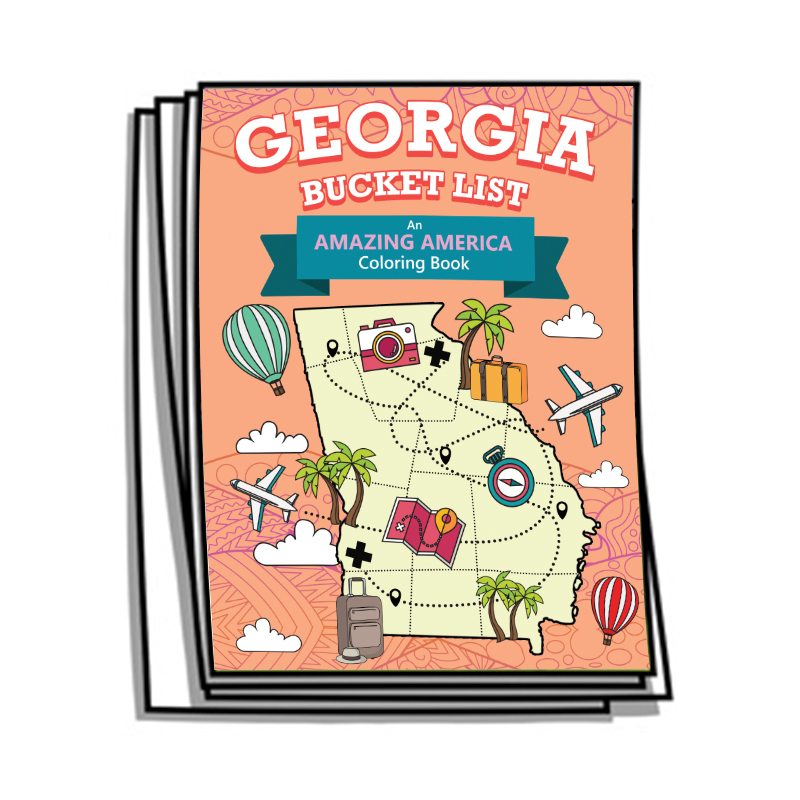 Color 30 fabulously fun tourist attractions in Georgia – and learn about state symbols in the process. 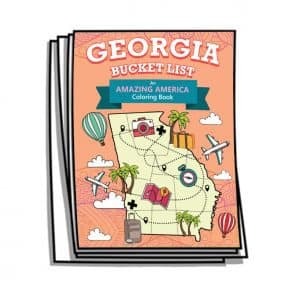 We selected 30 Georgia tourist attractions that are fun to color, ranging from State and National Parks, to must-see touristy places, and a few wacky roadside attractions. Within many of the pages are hidden state symbols such as the official state bird, fish, mammal, flower and more! 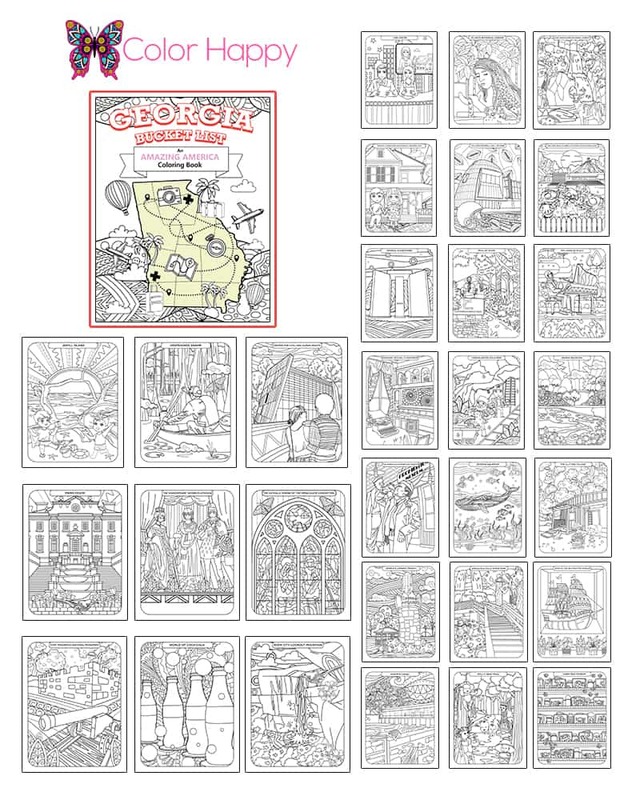 They’re a blast to locate and even more fun to color!